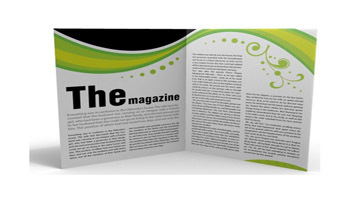 The possibilities are endless for how you can use a brochure as a promotional item: having a takeaway at a trade show, following up a sales meeting, using it as an insert to your media kit, handing it out at a local event, or providing more information to your location's visitors. 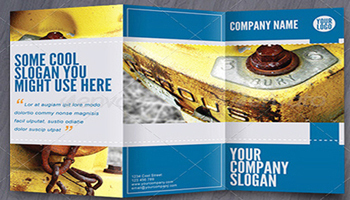 From a company’s history to fun facts and contact information, tell your story in a unique and compelling way by selecting the right brochure, with the right paper quality, fold style, and vivid color process. Do I need a bi-fold brochure or a tri-fold brochure? That depends. Choose a fold style that can accomodate the amount and type of information you want it to include. 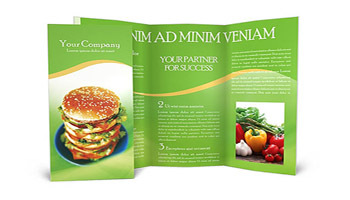 If your information is brief, with some brief descriptions and a few images, then use a bi-fold brochure. If you have more detailed information, and want to include pictures, testimonials, contact information, and prices, then go with the tri-fold brochure. Depending on what you want to include, you can determine whether a bi-fold or tri-fold is more appropriate. Why not just print out my sales literature to a piece of paper on my color printer? You can, however effective advertising consists of placing high value on your marketing investments. If it looks like junk mail, chances are it will be treated that way. A slick, well thought-out, colorful brochure on quality paper will return its investment many times over.